Mogherini, Pompeo, emphasize need to cooperate on international affairs. 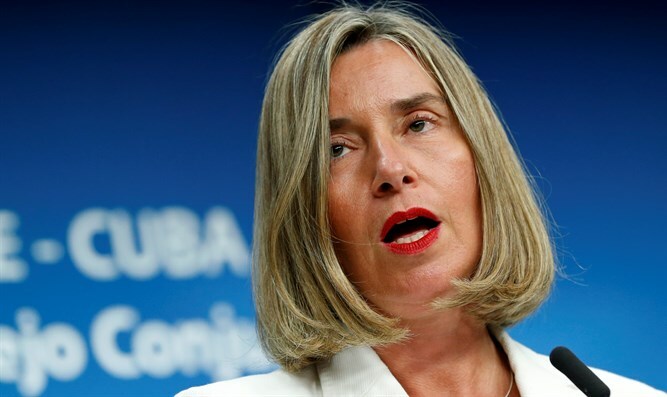 European Union (EU) Vice President Federica Mogherini on Friday met US Secretary of State Mike Pompeo. According to an EU statement, the two emphasized the importance of cooperation between the EU and US and the work currently being done to achieve a "peaceful and democratic transition in Venezuela, the need to ensure a political transition in Syria, support to peace in Afghanistan and to denuclearize of the Korean Peninsula ahead of the upcoming US-DPRK summit." The statement also noted that the two discussed "the situation in Ukraine, as well as EU-US cooperation in the Western Balkans, in particular following the entry into force of the Prespa agreement and the US support for the EU-facilitated Serbia-Kosovo dialogue." Mogherini and Pompeo concluded the meeting by promising to maintain contact.